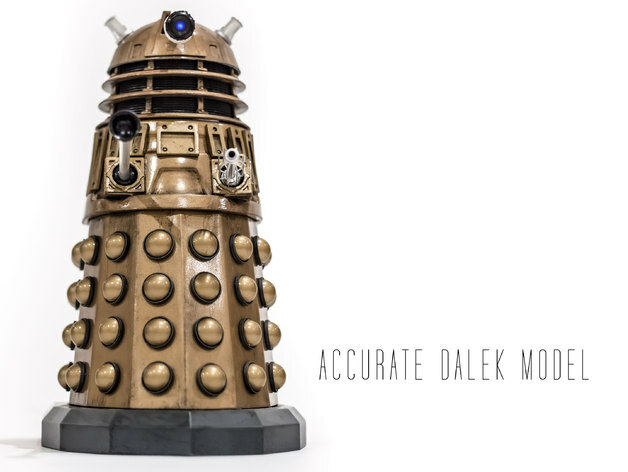 While I was digging for some inspiration for a new 3d model I happened across the Accurate Dalek Model by user Audrey2. This brings back memories of being terrified as a kid by these fantastic things - and I feel the urge to build one. I've worked out that I can scale to 200% - the largest footprint are the two base parts - and 200% just fits on the build plate. So - to do this it's going to take a fair bit of printing, a lot of priming and sanding and then painting. Can I add some LEDs to get the eye light and the ears to flash?